Our family welcomed its newest member on early Saturday morning in the form of a baby girl! 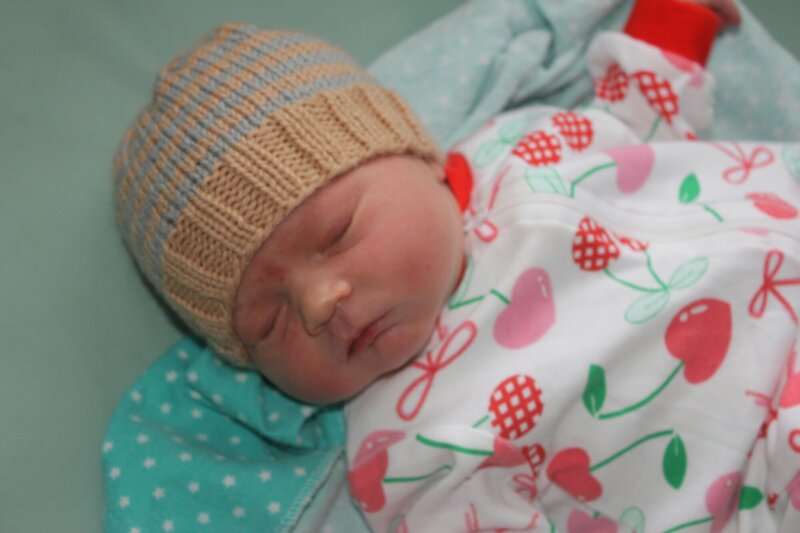 While the delivery was nothing like what we had planned, she came to us healthy. And we were able to unexpectedly stay home, which in the end was actually wonderful and has helped immensely with introducing her bigger brother to her. It took us most of that Day Zero to decide on her name! Eventually though, we decided. Weighing 8lbs, 3oz and measuring 21in in length, Norah Yvonne is doing really well in her first week of life. James has been having lots of fun trying to get close and wave to her, saying, “Bah!” (which in his world means ‘bye’, so we have to keep telling to say “Hi!” … ). He seems to think she’s quite cool thus far – let’s hope that lasts! If only he would stay still long enough for some good photos! We are doing well and I have actually been able to pick up my needles a little bit this week (gasp! ), which had made me feel very human :) I hope I’ll be able to share some of it soon! I raveled her newborn toque that she’s wearing here. congrats!!!! she’s precious! 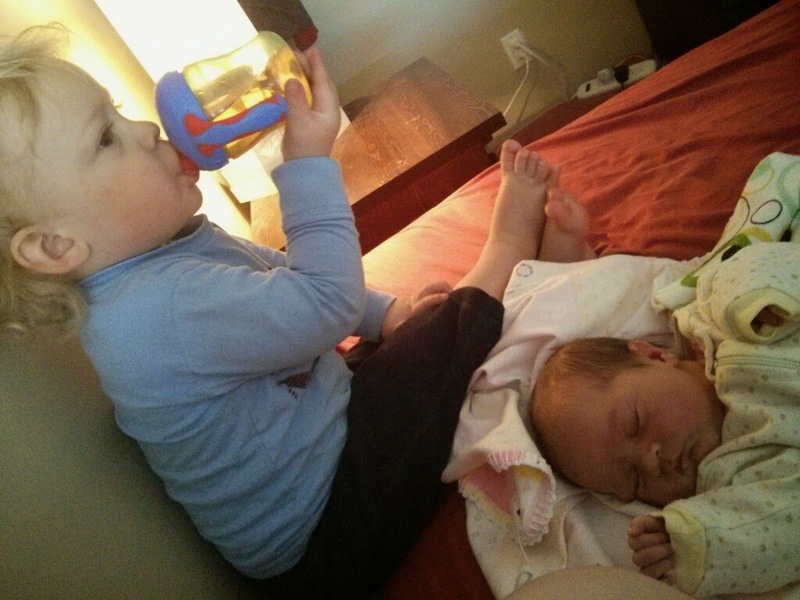 and what a sweet big brother!